The police have said the report of a post-mortem examination of the late Nigerian singer, Zainab Nielsen, aka Alizee, shows that she died from trauma. The Lagos State Commissioner of Police, Edgal Imohimi, said the trauma emanated from the injuries inflicted on her head. 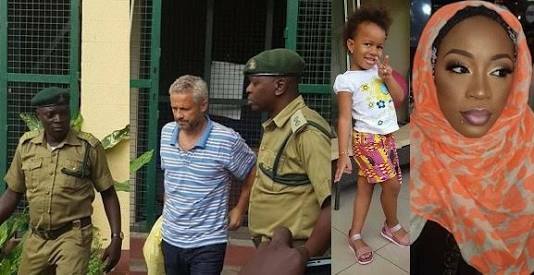 Zainab and her three-year-old daughter, Petra, were allegedly murdered on April 5 by the singer’s Danish husband, Peter Nielsen, in their residence at Bellasta Towers, Banana Island, Ikoyi. Peter, 53, was arrested and subsequently arraigned on two counts of murder last Thursday at a Yaba Chief Magistrate’s Court. Imohimi on Monday said the autopsy report showed that Zainab suffered trauma. “Secondly, the forensic experts revealed that there were bloodstains from the couple’s bedroom to the kitchen. Even though the bloodstains were cleverly wiped from the floor, they were still able to detect the stains with the application of special chemical reagents. "In addition, bloodstains were also discovered on the wash hand basins and on the hand towel. Although it was cleverly cleaned up as well,” he added.